Here is another gift design I created for Nashville Wraps. 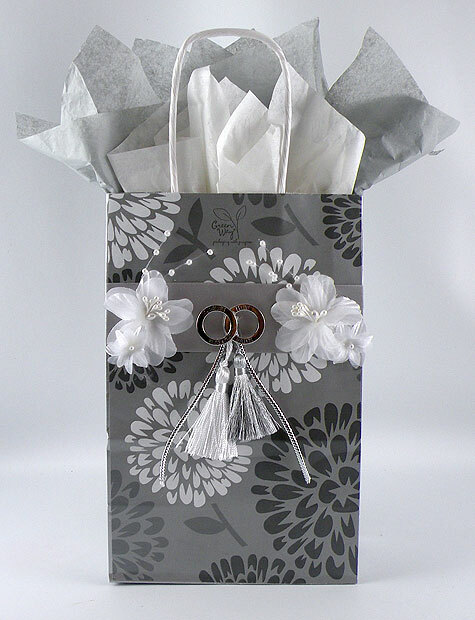 This wedding gift design was created to resemble a Ring Bearers pillow. 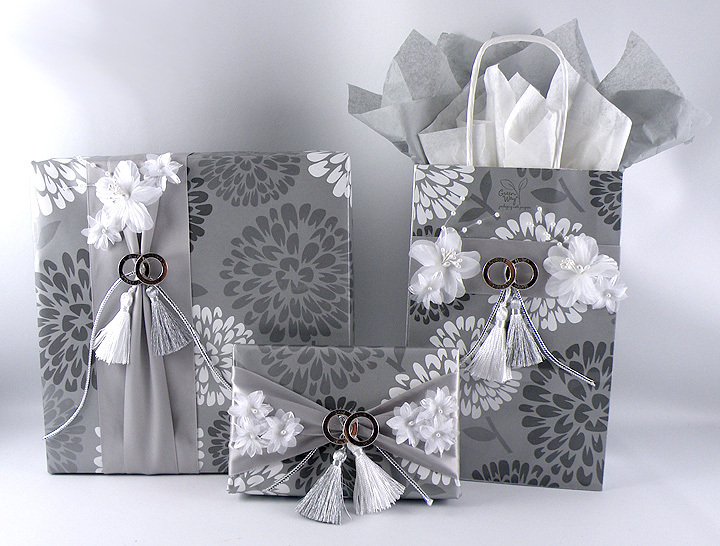 This sweet design was made with the gorgeous silver and white Wedding Blooms gift wrap and the sleek Double-Faced Silver Satin Ribbon. 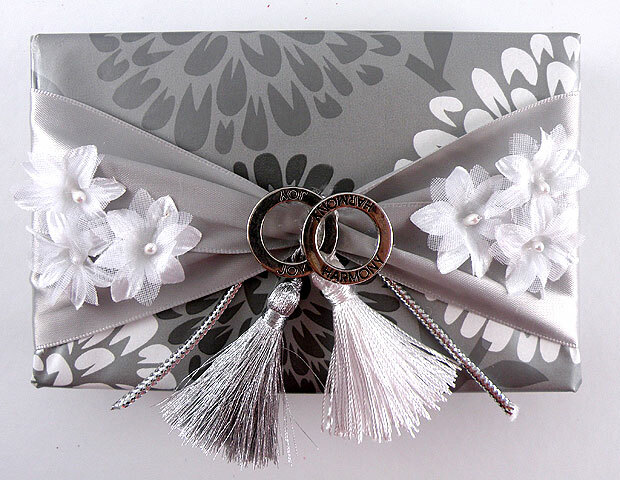 Sliver rings were glued together and silver and accented with tassels and flowers to represent the unity of the marriage. More wedding gift designs I created as a guest blogger for Nashville Wraps can be seen here and here. 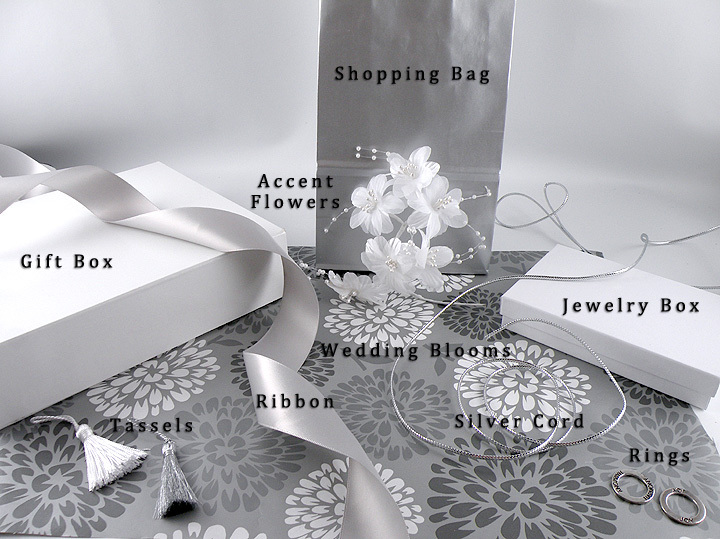 Materials used for the Ring Bearer Gift Design. 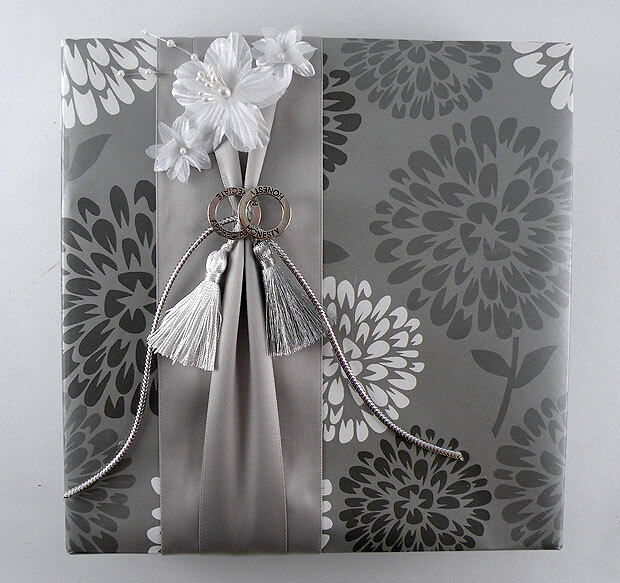 This entry was posted in Gift Wrapping, gifts, gina tepper, wedding and tagged custom gift wrap, Gina Tepper, Nashville wraps, Ring Bearer, Wedding gift, Wedding Gift Wrap. Bookmark the permalink.